I Am MLK Jr. celebrates the life and explores the character of American icon, Dr. Martin Luther King Jr. Following his journey across the mountaintops and valleys while capturing the Civil Rights Movement at large, the film provides intimate, first hand insights on Dr. King, exploring moments of personal challenge and elation, his legacy and an ongoing movement that is as important today as when Dr. King first shone a light on the plight of his fellow African Americans. 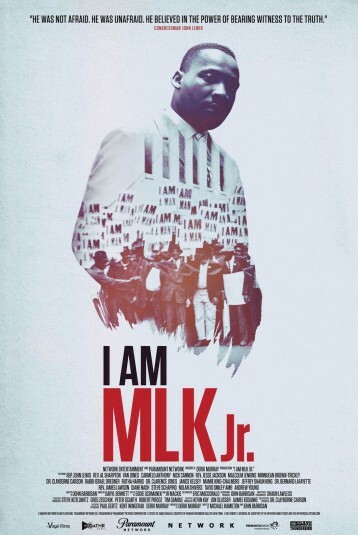 Filmed in historic churches where Dr. King preached and augmented by the music that buoyed the Civil Rights Movement, I Am MLK Jr. features a powerful cast ranging from history-changing civil rights-era activists to contemporary writers, activists and outspoken celebrities. Each interview provides a unique perspective on Dr. King, his legacy and why this history matters today.